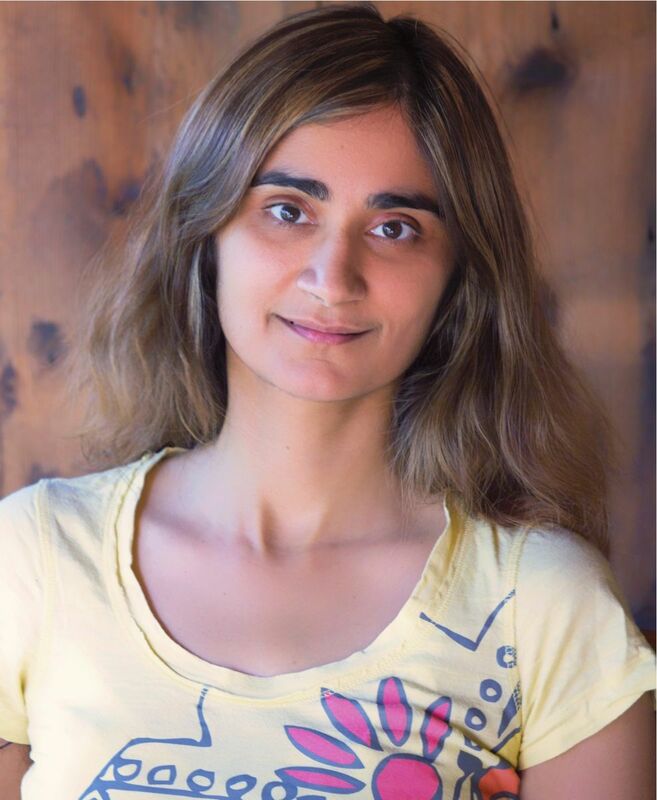 USC School of Cinematic Arts alum Priyanka Kumar ‘99 is best known to students for her documentary work on the film The Song of the Little Road. 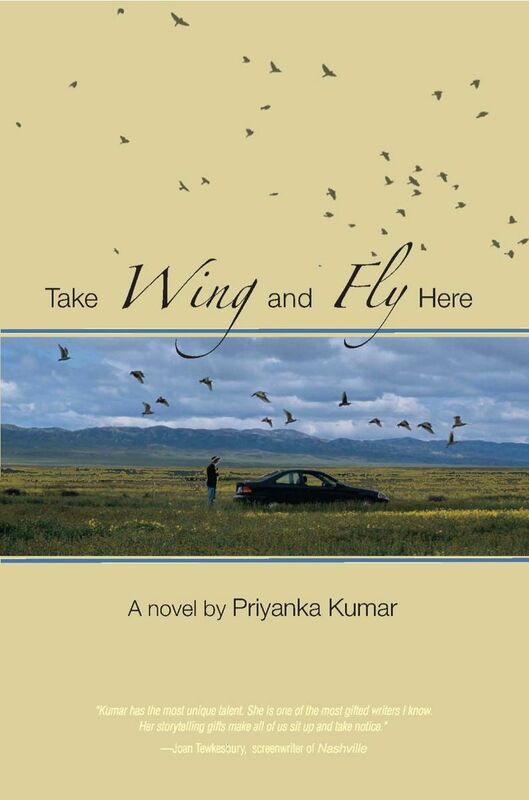 In 2013, Kumar is making the transition to novelist with her debut novel Take Wing and Fly Here. She recently sat down with SCA Family stories to discuss her book, how one day of “birding” changed her life and how students can choose the correct medium to match their visions. Kumar will be speaking at Skylight Books (1818 N Vermont Avenue, Los Angeles) on Sunday, November 17th at 5 pm. Let’s start with your name and graduation year. PK: My name is Priyanka Kumar and I graduated in 1999 from the Film and Television Production Division. M.F.A. Tell me about the book. It’s called Take Wing and Fly Here. It’s the story of a Ph. D. candidate whose life begins to unravel after he takes on a “Big Year” challenge. His main competitor is the president of the oldest birding society in America which is facing bankruptcy. It’s a narrative about ambition and fraught relationships all while pursuing birds on the California coast. How did the book come about? Soon after I graduated from USC, I was the visiting professor in the film production department at UC Santa Cruz. One December afternoon I went to a place called the Elkhorn Slough that’s just south of Santa Cruz. It’s not a pretty place, it’s almost ugly, but what made it interesting was that there were two volunteers there with their copies of the National Geographic Guide to Birds. They gave us a tour of the area. I became fascinated with a long-billed curlew that was eating its lunch. I didn’t know in that moment that the way I looked at the world was going to change. From then, when I came back to the LA area, after teaching at UC Santa Cruz, I just found myself on weekends going out to all kind of birding trips and expeditions. That went on for a few years. Finally, I started to ask about the way people bird. What our relationship is with the outdoors and how that’s changed in the last fifty years. I found myself with these particular characters - the graduate student who gets totally obsessed with finding the greatest number of birds in LA county in one year. That’s basically what the Big Year is. The novel explores his professional and personal life, and how his fixation on his goal unravels both these aspects of his life. This is your first novel, correct? It's my first published novel. Not the first I've written. I wrote a novel that is going to be the third novel in this trilogy - I wrote that book first. Then, I decided that I really needed to start with the birding story. It was very compelling. I’m basically following these two young people all the way from their early twenties to their mid twenties to early thirties. That’s each book. Each book is around five years later. You are known primarily as a documentarian. Did you start writing novels at the same time you were making films? It was going on side-by-side. I was working on a novel while I was at USC. At some point, I was wondering if there was something wrong with me [laughs]. I was working all day on film stuff, and at night I was secretly working on a novel. I asked one of my screenwriting professors if there was something wrong with me. You know. Working on a novel on the side. I was directing all day. The answer he gave me is that some stories are better suited to one medium and some to another. That gave me some sense of peace. For a little bit [laughs]. I’ve been doing both things fairly concurrently. In a way, I’m glad I’ve been doing that. Each medium feeds the other. So, you know, the documentary I made about Satyajit Ray - some of his best known films are based on literary masterpieces. The fact that I also write novels makes it more likely that I read a lot of novels. So, I find that I can look at film from a slightly different angle. As a film but also as an adaptation of another work. How did your training at USC prepare you for your career as a novelist? One of the things that happened was that I got in touch with some people from the Professional Writing Program while I was in the film school. I showed them some of my prose and the director of the writing program there, James Ragan, got pretty excited when he read my stuff and invited me to take a few classes in their program. So I did that and it was pretty interesting. James Ragan and I kept in touch. Every couple of years we emailed. We remembered those USC years, and the event I’m having at the Skylight bookstore is actually a conversation with him. In a beautiful way, this vision that began at USC has come full circle. Tell me more about the event. It’s going to be an “in conversation” event with James Ragan who was the director of the Professional Writing Program at USC for 25 years and whose books have been translated into twelve languages. He will introduce my book and I’ll read a short excerpt. I’ll also do a slideshow of my bird photography. Ragan and I will talk about the role of nature in our work, and we’ll discuss the art of writing, whether it’s screenwriting, poetry, or fiction.